cCloud TV Kodi Addon 2019 – An IPTV Addon With More Than 2,000 TV Channels! If you want to access thousands of TV channels from the UK and US, cCloud TV Kodi Addon is the best choice for you. 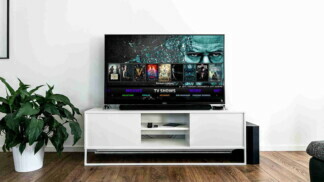 You do not have to go anywhere else to get your favorite TV shows and movies because you will get them all in one place and, that too at the excellent picture quality. Fascinating, isn’t it? Below we have provided you with the step-by-step guide to install the cCloud TV Kodi Addon on your device in 2019. But before doing that, please have a look at the information given below to make your experience as smooth as possible. cCloud TV is an IPTV addon that has the most extensive collection of the TV channels through which you can live-stream channels such as ABC, ESPN, Cartoon Network, Discovery Channel, Sky, NBC and much more. Additionally, you can also access a large number of radio stations from all over the world. You can easily select from the various categories given at the cCloud TV and watch your favorite movie or TV show whenever you want. 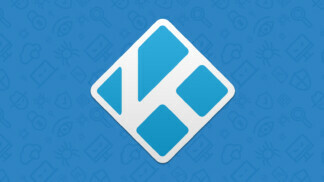 It is really easy to install the cCloud TV Kodi Addon. Since it is a third party addon, installing it might take not more than a few minutes. Once done, you can enjoy all the TV channels with ease. However, before starting the installation, we would request you to read the important note section given below. This will help you in avoiding any unnecessary trouble. Important Note: Before getting into the detailed installation guide for the cCloud TV Kodi Addon, we would like to inform you that Kodi does not allow any third party installations. The default safety feature on the Kodi is automatically set to disable these Unknown Source installations. So, you need to enable the unknown sources to install anything. The steps to enable Unknown Sources are really simple, and there is a huge chance that the feature is already enabled on your device if you have installed a third party addon before. 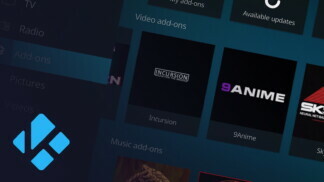 However, if you have not, then we have created a quick guide to enable the third-party installations on Kodi to help you. Here you will find all the steps to accomplish this process. Finally, let’s talk about what you really want to know – and that is how to install cCloud. Keep on reading and follow the screenshots closely. The ZIP file of cCloud TV will not be downloaded to your computer. Make sure not to unzip it. 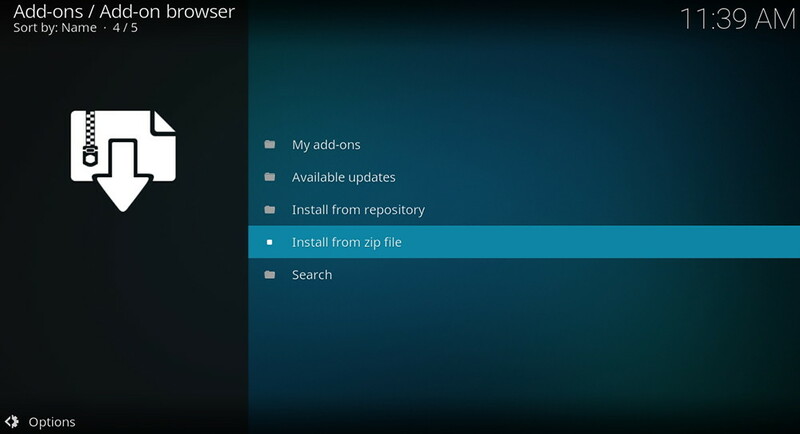 In other words, Kodi will need the ZIP file format to be able to install the cCloud Kodi addon. To open the addon, return to your Add-ons. Enjoy! What to Expect from cCloud TV Addon? The cCloud TV Addon is one of the best IPTV addons that has a collection of some of the best UK and US TV stations. Let’s take a look at the main content categories. Announcements / Read Me / Server Status: The first three options allow you to check what’s new. We recommend checking the status of different servers to see if you can expect any issues streaming TV channels. All Channels: As its name says, this is where you can dive into an endless pool of streaming links. At the moment of writing this article, there are more than 2,000 links. Not all of them work, but the majority plays without any issues. FilmON: This is a recent addition to cCloud that lets you watch FilmON movies and TV channels. In general, these titles come from small studios, so you won’t find blockbuster hits here. English: Since the majority of Kodi users are looking for TV channels from the USA and UK, this is an easy way to see what’s on offer. Top 10: Needless to say, this is where you can see 10 of the most popular streams. Various Categories: Next few categories are actually niche categories such as documentaries, entertainment, movies, music, and so on. 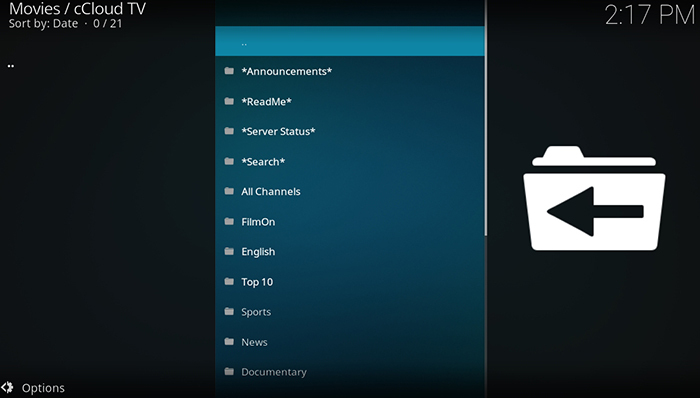 Depending on what kind of TV channel you want to watch, use one of the present categories on the main menu. On-Demand Movies / Shows: Streaming a TV channel means accessing its live stream. You don’t get to pick which TV show to watch – as you can expect, we’re sure. So, if you want to find a specific title and watch, use these two categories. 24/7 Channels: This is yet another newly introduced feature. In practice, it works as a combination of live streaming and on-demand. You pick a TV show to watch and then you tap into that live stream. Radio: cCloud TV Kodi addon also lets you listen to radio stations. There is a really nice selection here, offering radio stations from all around the world. Non-English / International: The final option is all about non-English TV channels. If you’re a cord cutter looking for local TV stations, this is a good place to start. Before we let you go, we’d like to provide some useful resources. Since cCloud is all about TV channels, why not install a few additional addons that bring on-demand movies. Check out these suggestions. And finally, here’s something for sports fans. Try out Planet MMA and PAC-12. Finally, we would like to say that this is one of the best add-ons for watching the TV shows and movies from two different countries at the same place in 2019. 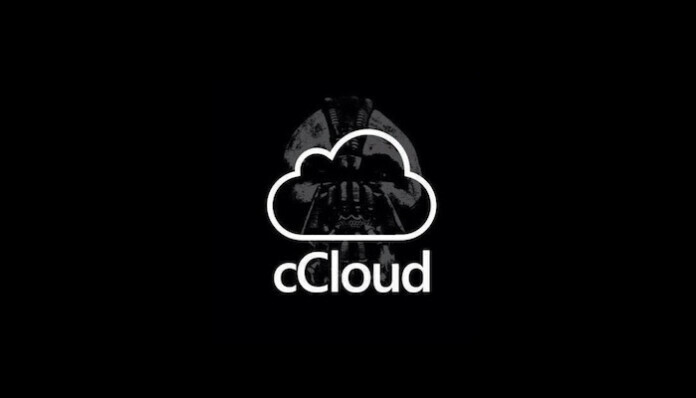 We are sure you’re going to love what cCloud TV Kodi addon offers. Finally, if you think that this guide might be helpful to someone you know, please share it. And don’t forget to follow us on Facebook and Twitter. Thanks!